Need help preparing for the Japanese Language Proficiency Test (JLPT)? Let our friendly tutors give you the knowledge and skills to succeed. 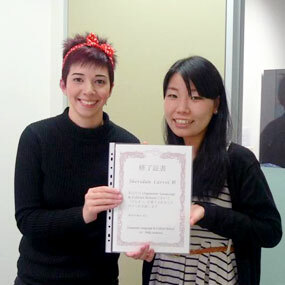 Our JLPT course has helped Melbourne students of all ages and skill levels tackle the test with confidence. The JLPT is the world’s most well-recognised Japanese language test and is an indispensable addition to your résumé if you’re planning to work or study in Japan. It is also a helpful benchmark for gauging your proficiency in the language, helping you to see where your strengths and weaknesses lie so you can concentrate on the areas where you need to improve. Our JLPT course will give you the skills and knowledge needed to pass the test, as well as providing you with some helpful strategies you can use when preparing to sit it. We offer the JLPT course at our Melbourne school over a 12-week term. Group Lessons – $27 per hour. Available once a week as 1-hour, 1.5-hour or 2-hour classes. Private Lessons – $47 per hour. Available once a week as 1-hour, 1.5-hour or 2-hour classes. Private tuition is more flexible and can be customised to suit the student’s needs in terms of content and attendance. Semi-Private Lessons – $37 per hour (per person) – Study with a friend for a fun and engaging learning experience! To make an enquiry about our JLPT Course in Melbourne, please contact us.